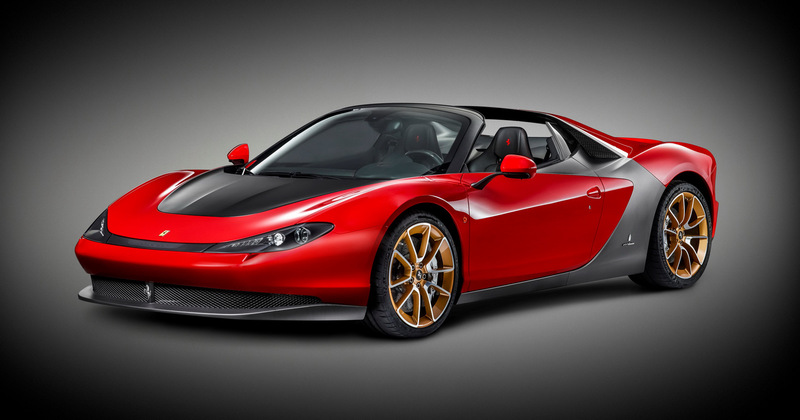 The Pininfarina Sergio concept was a very dramatic looking vehicle and when I heard that Ferrari will build it, I was very curious to see if it would stick to the original design. Sadly, that didn’t happen, as you can see from the photos. 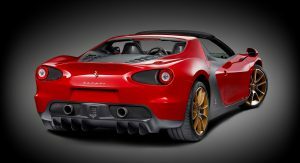 Ferrari has unveiled the production version of the Sergio and it is obvious that it is just a slightly rebodied 458 Spider. The first car was delivered to new owner, the SBH Royal Auto Gallery in the United Arab Emirates, at Abu Dhabi’s Yas Marina Circuit, where the FXX K was also unveiled. 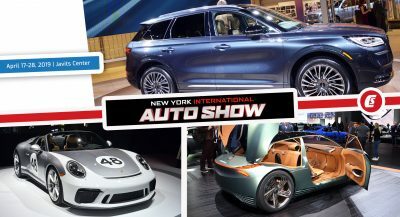 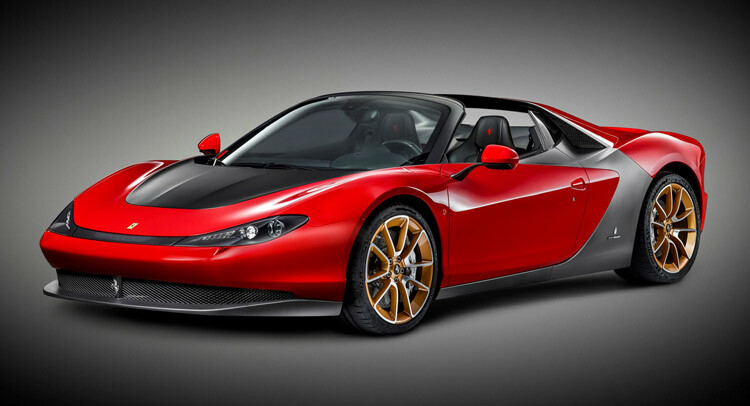 Compared to the Pininfarina study, the Ferrari Sergio production car gains a windshield that completely changes its appearance, as does the lack of the “gaping” front bumper. 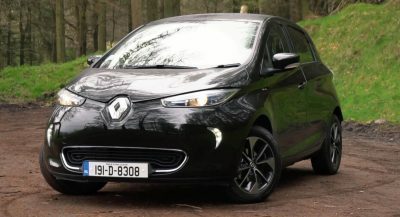 The headlights and taillights are different too and overall the car looks less spectacular than the concept. 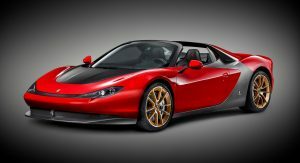 Ferrari will build only six Sergios to celebrate the 60th anniversary of its collaboration with Pininfarina. 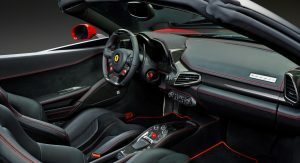 From a technical point of view, the Sergio is powered by the latest 605PS (597hp) version of Ferrari’s naturally aspirated 4.5-liter V8 engine that powers the 458 Speciale A. 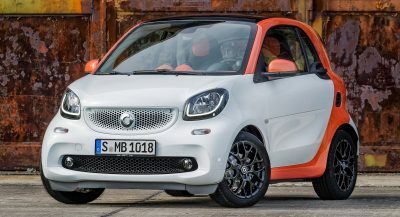 Naturally, performance specs are identical, with a 0 to 100 km/h (62 mph) sprint of 3 seconds. 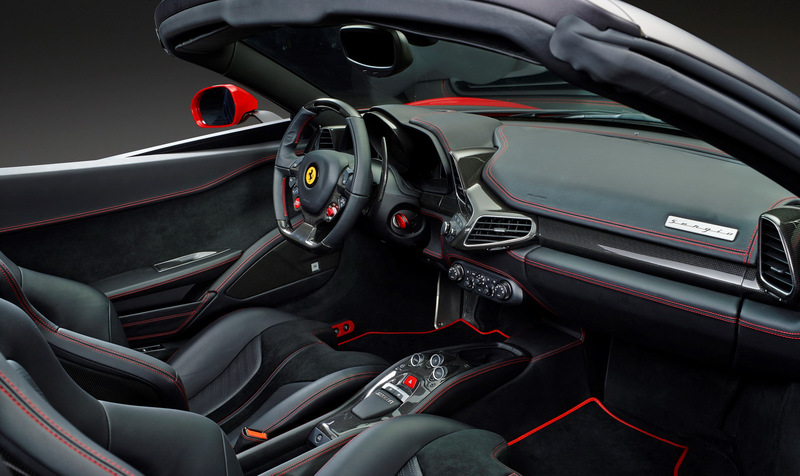 The Ferrari Sergio delivered to Abu Dhabi features a three-layer red exterior paintwork and a sporty cockpit with black leather upholstery with contrasting red stitching, Alcantara seat inserts, and extensive carbon dash and door well trim. 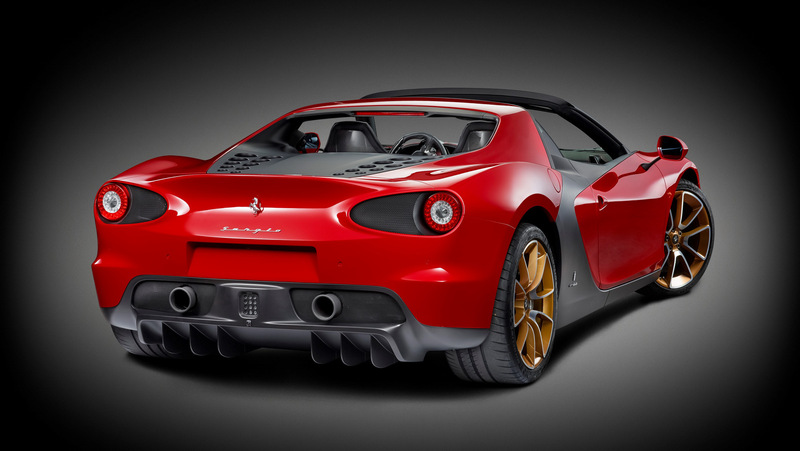 It also features Sergio-specific forged wheels, on this car gold in color with a diamond finish. 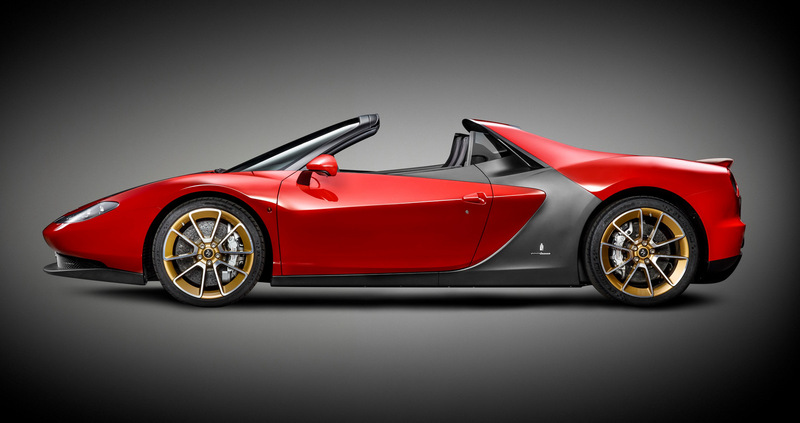 Each of the six Ferrari Sergios was configured by the owner at the Tailor Made atelier in Maranello, which means each car will be unique.